She completed her Ph.D. in the research group of Prof. Xingguang Su at Jilin University China, in the field of Analytical Chemistry. She is having 10 international publications with cumulative impact factor of 20. Synthesis (hydrothermal, microwave assisted), stabilization, self assembly, characterization and analytical applications of nanomaterials particularly gold and silver nanoparticles are major focus of her research at ICCBS. A number of analytical protocols are being performed in her research group such as biosensors, layer by layer assembly, lab-on-chip, luminescence and colorimetric analysis and nanoparticles involved immunoassays. Drug coated nanoparticles assembly and their biological applications are another field of interest. Moreover CdTe, CdSe quantum dots based analysis are also among her group’s expertise. 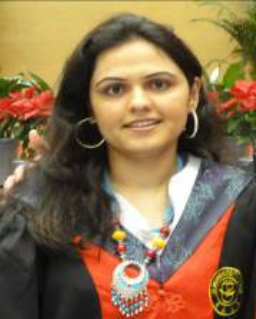 Shamasa Kanwal joined the lab in 2007 for her Doctoral research. 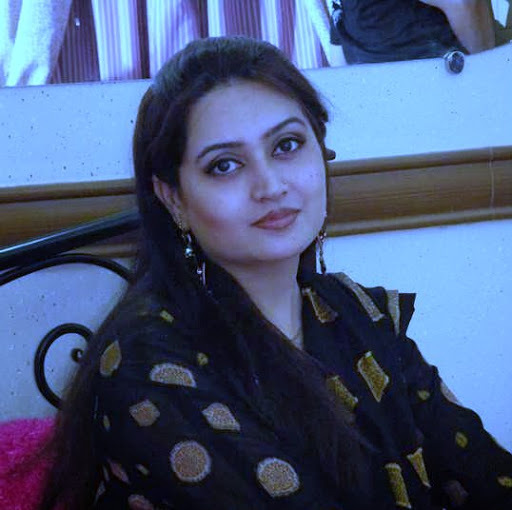 Her reaserch focus on the application of flow injection analysis and Chemiluminscence for detection of various analytes.Her current position is Assistant Professor at HEJ research institute of Chemistry, Karachi University, Pakistan. Dr. Jamshed Hashim conducted his doctoral studies (2004-2008) on the synthesis of quinolone/bisquinolone derivatives and postdoctoral research (2008-2009) on the synthesis of bio-active heterocycles from the Karl Franzens University of Graz, Austria under the supervision of Professor C. Oliver Kappe. 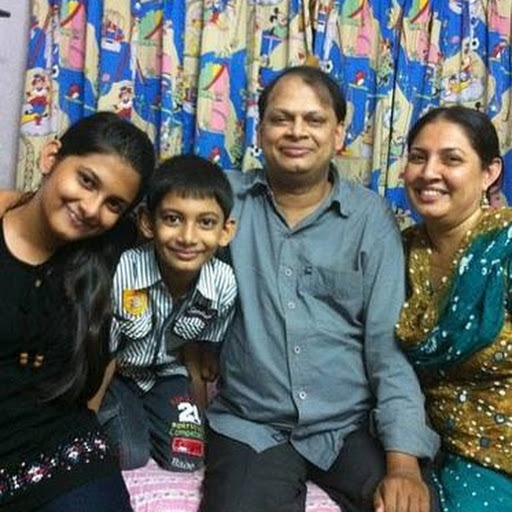 He is a co-author of 10 high ranked international publications (C.I.F. 33.57). He was also involved in the area of microwave chemistry (2004-2009) at the Christian Doppler Laboratory for Microwave Chemistry (CDLMC), University of Graz, Austria. He has experience on a variety of dedicated microwave instruments which he now intend to employ for the efficient and high yielding synthesis of important organic compounds. i) Discovery of new molecules bearing potential significance in medicine and agriculture from indigenous plant materials and elucidation of their structures by sophisticated spectroscopic methods as well as chemical transformations. ii) Investigation of their biological and medicinal potential such as anti-cancer, anti-AIDS, anti-tuberculosis, anti-leishmaniasis, CNS stimulant and depressant, antihypertensive, antibacterial, antifungal, analgesic, anti-oxidant and antiplatelet aggregation activity. iii) Preparation of new synthetic analogues of natural and synthetic molecules with the object of obtaining lead bioactive molecules and study their structure-activity-relationship (SAR). iv) Phytochemical analysis of major active principles in plants with respect to climatic variations. v) Development and formulation of biopesticides (bio-insecticides) for use in agriculture, horticulture and household. Dr. Bina Siddiqui is a motherly scientist who has made many important contributions in the field of medicine and agriculture through her study and classification of native plants. Muslim Science categorized her in ‘Pioneers’. She has been awarded 12 patents for anti-cancer constituents and biopesticides and has written more than 250 research articles. Pakistan Academy of Sciences elected her as a Fellow. She has to her credit the co-founding of the Third World Organization for Women in Science. Her area of research also includes discovery of new molecules important in medicine and agriculture and preparation of bioactive molecules among many other topics. Labels: Khawarizmi Laureate, Prof. Dr. Bina S. Siddiqui, S.I., T.I. Over 100 Research Publications. Current research interest includes synthesis of interlocked molecules with unique topology and development of artificial ion channels on the principles of synthetic supramolecular chemistry. The intelligent orientation of various rings like porphyrins, calix[n]arenes and cyclodextrins can be exploit to form ion channel with interesting properties. Functionalization of gold nanoparticles is another area of interest. • Over 12 years of experience working within a laboratory of industry and academic environment. Successfully completed graduate program in organic chemistry and postdoctoral fellow in organic and polymer chemistry from University of Alberta. • Skilled in collecting and interpreting data from Spectroscopic techniques such as nucleic magnetic resonance (NMR), infrared spectroscopy (FTIR), gas chromatography-mass spectroscopy(GC-MS), normal and reverse phase high performance liquid chromatography (HPLC) and gel permission chromatography (GPC), differential scanning calorimetry (DSC), thermogravimetric analysis (TGA), dynamic mechanical analysis (DMA) and texture Analyzer. • Ability to plan organic synthesis projects with optimised route and high yield based on 10 years’ experience. Hands-on experience in synthesis, purification, separation and characterization of small molecules, monomers and polymers including bio-based chemicals. • Computer proficiency in database searching (Beilstein, and SciFinder), Microsoft Office, Endnote, Isis Draw, Chem draw and ACD lab. Advanced skills using computers to perform mathematical calculations using Excel and Sigma plot software. • Excellent analytical writing skills also demonstrated through drafting of winning proposals for research funding worth up to $275,000, such as CFI and NSERC engage. Strong oral communicational skills as demonstrated by extensive experience delivering presentations, scientific reports and lectures to supervisor, industry funders, colleagues and students. • Solid team player who is also highly self-motivated and able to work independently. Extensive experience working as part of multidisciplinary teams. Polymer Degradation and Stability 10/2012; 97(10):1970–1978. Journal of the Iranian Chemical Society 8(1) 2011, 265-271. Research Focus: Synthesis and purification of fatty acid-derived diisocyanates from oleic acid via Curtius rearrangement followed by their application in the synthesis of biobased thermosetting and thermoplastic polyurethanes. As an organic chemist, Dr. Leila Hojabri synthesizes biomaterials from agricultural sources – making products that are much “greener” than those from petroleum-based materials. Dr. Hojabri is excited about the great potential of these materials to help make a more environmentally sustainable society. She would like to further explore synthesizing lubricants and waxes from lipid. Dr. Hojabri is delighted to be able to work in such satisfying collaboration with other researchers in the group, and challenges herself to stay as up-to-date as possible on developments in her field in order to bring as much knowledge as possible to these collaborations. She really enjoys the opportunity to exchange information with the other researchers, and finds the process helps her to understand and appreciate her colleagues’ fields of inquiry. With a firm commitment to both the environmental sciences and interdisciplinary approaches, Dr. Hojabri is excited, too, by the great potential for this kind of broad-reaching, world-changing research at Trent. Coming from two years at the University of Alberta in Edmonton, Dr. Hojabri finds Peterborough a green, beautiful and relatively peaceful place. As of her first fall in Ontario, she even likes the weather. After amazing visits to Niagara Falls, Jasper and Banff, Leila and her family crave more travel. Next up: la belle province, Quebec.